In case you are new to this blog or to the world of Sports Technology, there is going to be a very interesting awesome Sports Tech event happening this September. It is none other than the 6th Asia Pacific Congress on Sports Technology (APCST). Just to describe it briefly: It is an international event in the field of sports technology, organised bi-annually in the Asia-Pacific region. The congress has been held in Australia, Japan, Singapore and the USA over the last decade and this time it is heading to Hong Kong. The only other event that is equally as awesome will have to be the Conference of the International Sports Engineering Association (ISEA). These 2 biennial events kinda complement each other because they take place on alternate years and they help keep sports researchers busy. If you have attended both events before, you will probably notice some familiar faces here and there. There is also going to be a focus on sports medicine technologies with a special plenary session dedicated to that. For the full schedule of the plenary sessions and presentations, you can get it from the conference website here. Other than interesting keynotes and presentations of original research, no sports tech conference is complete without a sports industry visit. This time round, the participants will get to visit the Hong Kong Sports Institute which recently added new facilities including a new rowing boathouse, a ten-pin bowling centre and a wushu hall. There’s even a video of the official opening here. 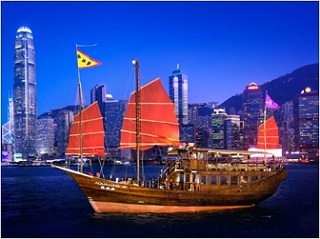 Then since we will be in Hong Kong, it is a must (according to the HK tourism board) to experience a ride around the Victoria Harbour on the traditional Chinese Junk Boat; and that is exactly what the HK organisers have in store for the conference participants! finally, 3 of the organisations are sporting goods companies. So plenty of things to look forward to at the APCST 2013. If you have yet to register for the conference, you better hurry, deadline for registration is 31st July!